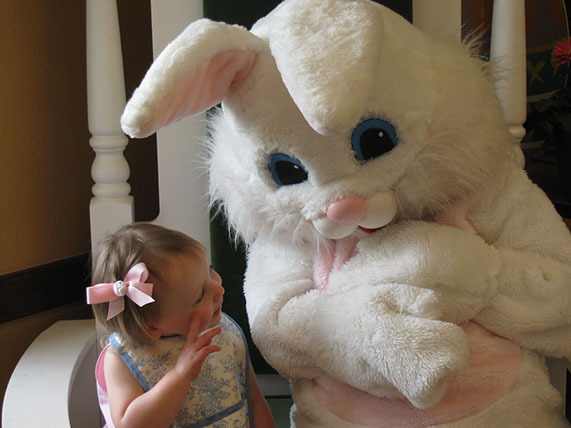 Breakfast with the Easter Bunny is on Sunday, April 14, 2019 from 8:30 AM until 12:30 PM with pictures being taken from 9 AM until Noon. The cost for this wonderful event is $10 for Adults and $5.00 for Children ages 3-10. A delicious all-you-can-eat breakfast with the Easter Bunny! Breakfast includes scrambled eggs, cheese omelets, doughnuts, french-toast sticks, ham, bacon, sausage links, potatoes, muffins, bagels, fruit, coffee, milk and fruit juices. Along with this delicious breakfast, there will be a wonderful bake sale, raffles and fun kid games! Each family will receive one FREE picture with the Easter Bunny, thanks to a generous donation from the parishioners of St. Florian Parish! Additional picture(s) are available for a donation.